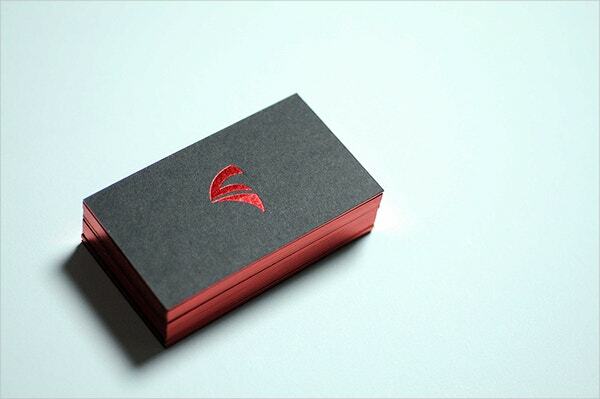 The Debossed Business Card Templates are set to glorify your business cards with a touch of 3D-ness. The design features the indented look and feels to the art elements and text used in the templates. This not only looks classy but also sends out an impression of fine quality. The templates are available for a wide range of categories and offer a great level of customizability. 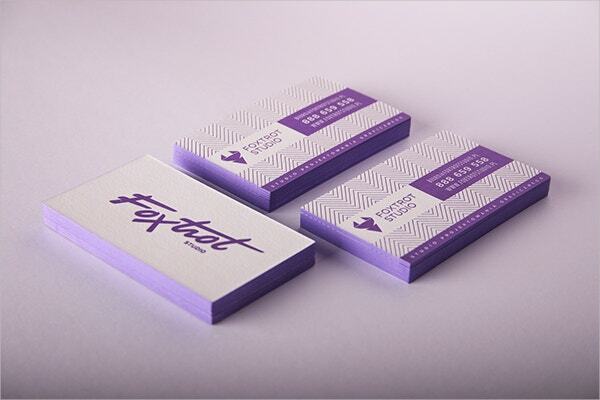 Use the ink raised business cards to invite appreciation from clients. 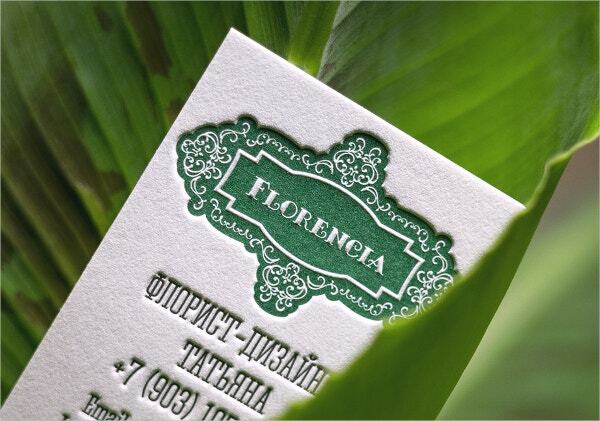 The template offers 12 unique debossed business card designs that have a high-quality finish. 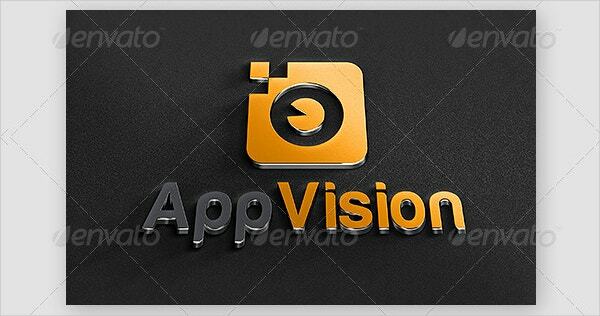 The logo and text look 3D indented; it is available in 300 DPI in PSD format. This template has real debossing on cotton paper with artistic decoration and vivid colors. The text is bold and legible. The debossed effect stands out making it a perfect choice. 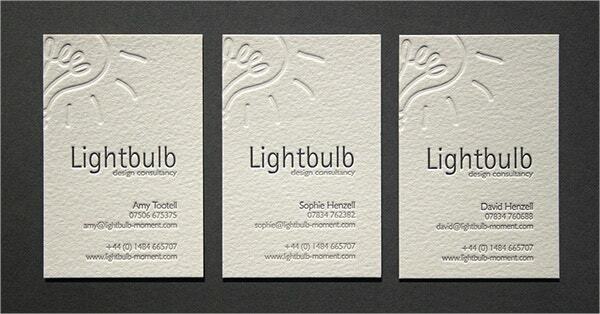 The template has a set of 10 3D embossed designs for professional business cards. They include graphic logos and highlighted textual formats. They come in PSD and JPG files. This design has letterpress debossing for information on the card. The aesthetic appeal speaks luxury in its standard. The cards are made with high-quality 600gsm paper from Etsy. This is a unique style of debossing with calligraphic text. The template has a modern touch to it with ornamental colors. 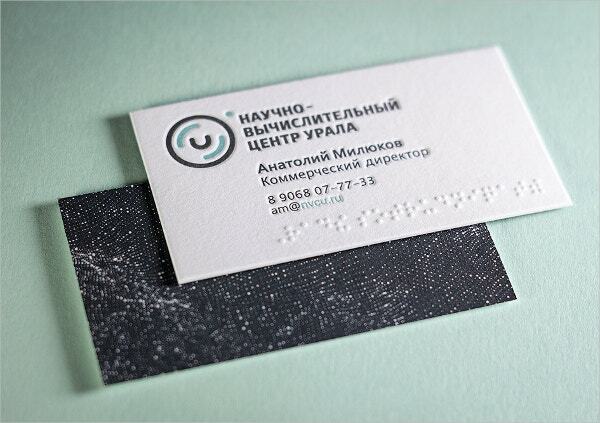 It’s a highly recommendable design for business cards. 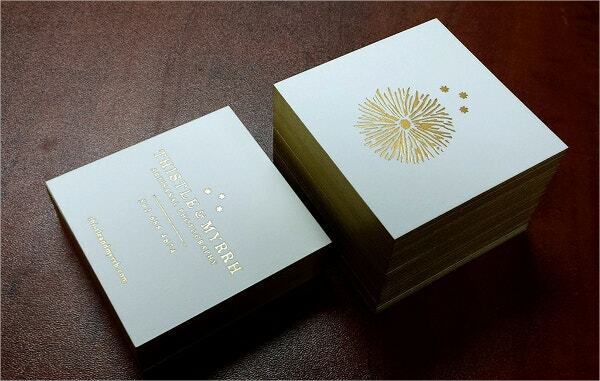 The Party business cards offer matt gold debossing on high-quality 600gsm paper that looks extravagant. It is available in 2.5×2.5 inch card size with highly detailed texts. 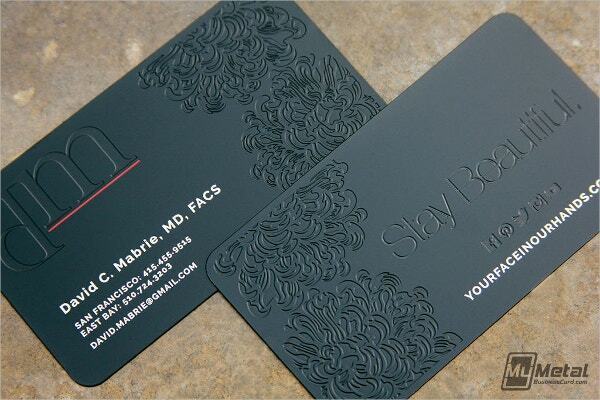 This is an impressive embedded debossing business card that is set to leave a mark on the clients. It has nicely arranged text with beautiful color fills that make it highly recommendable. 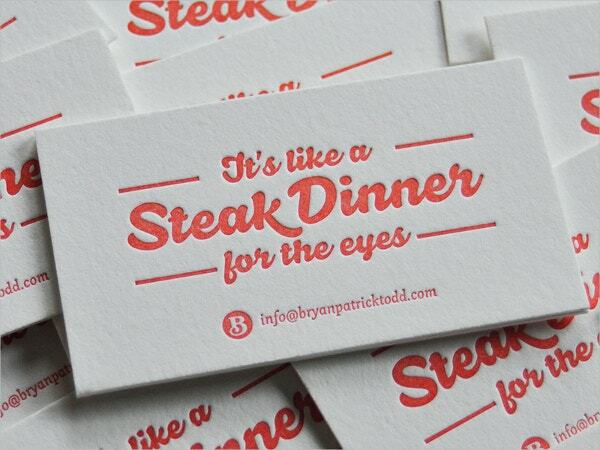 The Steak debossed cards feature handwritten fonts with a monotone fill that is minimalistic yet impressive to the eye. This card is suitable for any business and ensures quality. You can also see Music Business Cards. 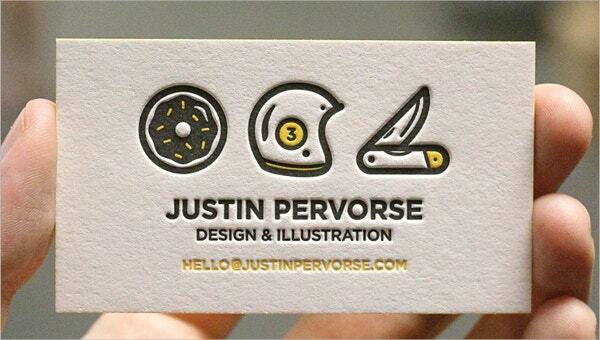 The card features a mock-up design for a business card with simplistic text and graphics. It’s perfect for business templates. The card contains information and logo on alternative sides in PSD. 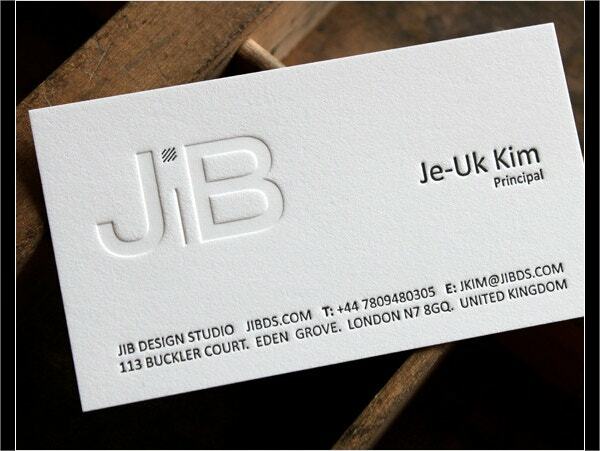 The letterpress business card has a plain white layout with debossed letters and text on it. The design is really professional and comes in 3.5″ x 2″ size for order. 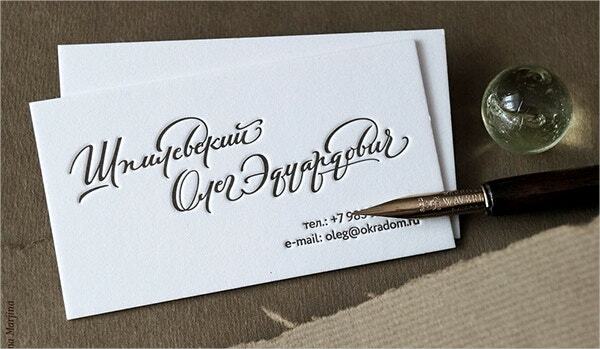 This is a decent business card with minimal design elements and simple text layout. It features a debossed logo and company information on the bottom and is suitable for franchise brands. This is an ink raised business card template that offers company name in a bold font on the top and contact information on the back side. It’s really simple yet unique design is suitable for any business firm. 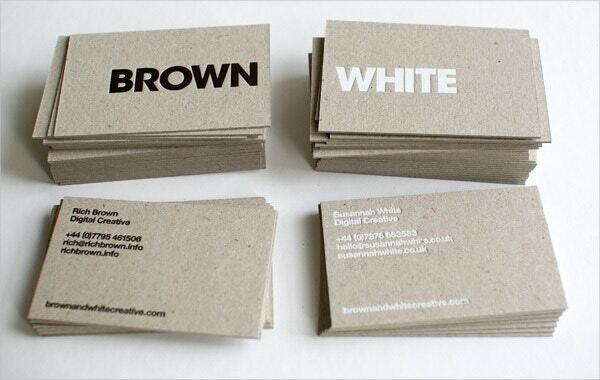 The business cards leave the first impression about any business or brand and debossed business cards offer an everlasting mark for the company’s face value. 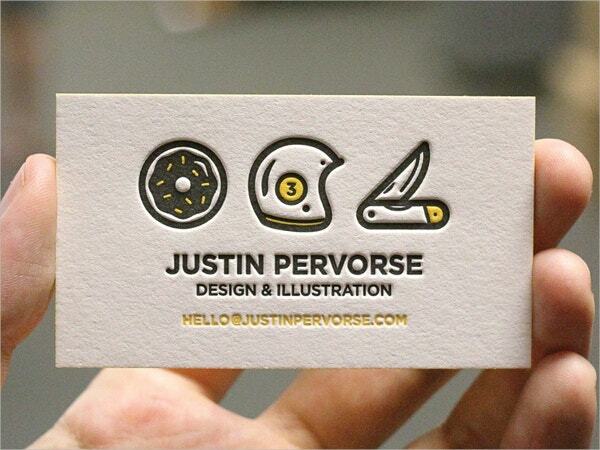 They are artist generated designs that offer a wide choice of custom business card templates and efficient debossing. These templates would impact your clients and they are very easy to download as well as print. 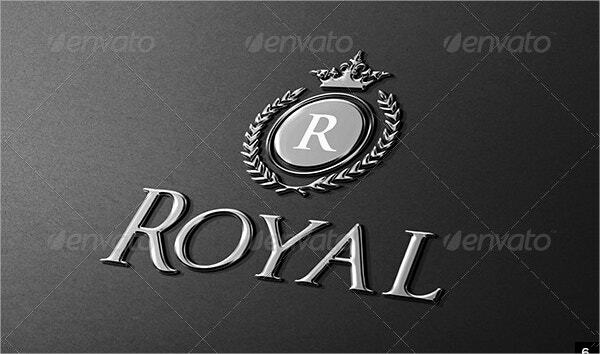 Choose your favorite template from the list and treat eyes with luxury. You can also see Fitness Business Cards.